With summer being at its peak, I am sure we can do with lots of liquids in different forms. Smoothies come to rescue by being more creamy and rich. And if you want to use up any fruit, this is the best choice. I do this regularly with banana and it turns out great. When I decided on Summer Coolers, I thought I should make at least one smoothie and nothing like a chocolate added to it. I finally settled down with Banana Chocolate Smoothie. 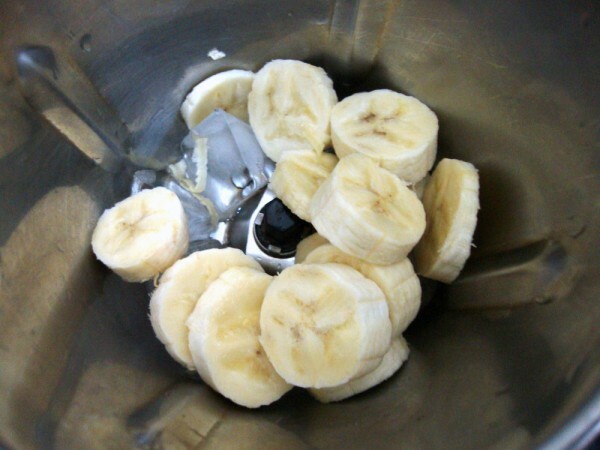 This hardly takes time and suits best for breakfast if you are not conscious about including banana in your diet. But imagine my surprise when the kids refused to have this. They simply love Chocolate milkshake, which is an everyday affair. They love banana but they said they won’t have because banana is added to chocolate. I couldn’t understand the logic. I was thinking because they like both, putting them together should excite them. But the opposite happened. In a mixer, take all the ingredients and pulse it for couple of times. 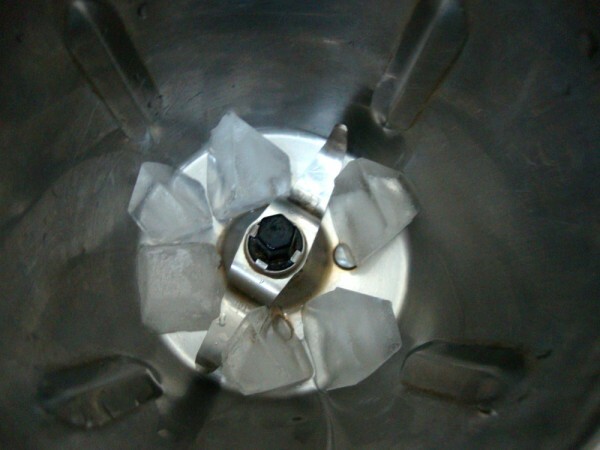 If required you can add some ice cubes at the final stage also. Finally garnish with almond flakes. Most of the time, kids do exactly the opposite of what we expect them to do. The smoothie sounds quite filling. Tell me about kids. If they ate everything that I made thinking they like it, I wouldn't have to work out so much in gym. I end up eating what I made for them. 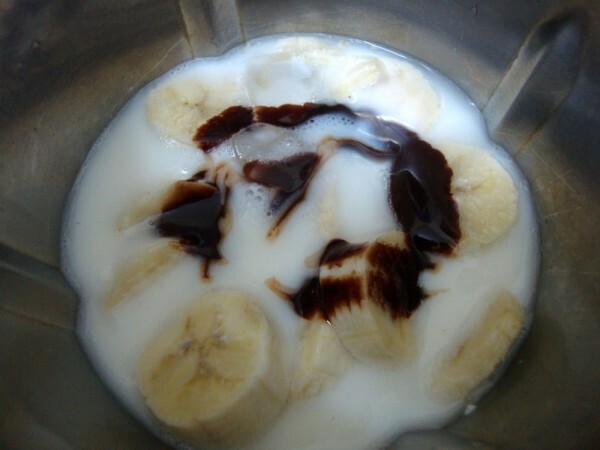 I like to add some chocolate to my banana smoothie to bring down the overpowering banana flavor. Your smoothie looks very inviting. 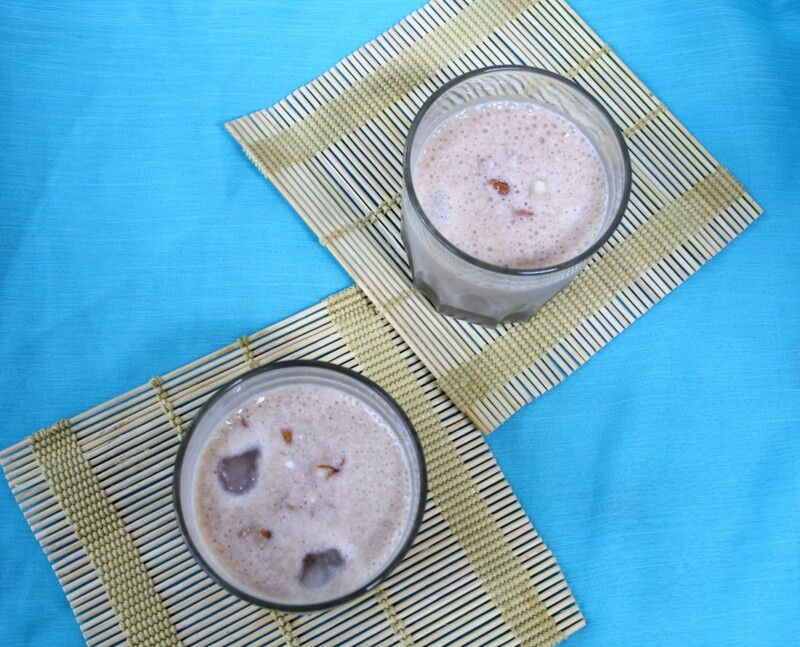 Chocolate and banana is my fav kind of smmothies.. perfect for all ages..
Yumm, love this smoothie,banana & choco works out always fabulous..
Smoothie looka so refreshing..Liked the step by step presentation most.. The smoothie is filling and apt for breakfast…and where kids are concerned ..can anyone beat them with their ways?today they like..samething tom…no they dont like!! Yummy .. love the pictures. 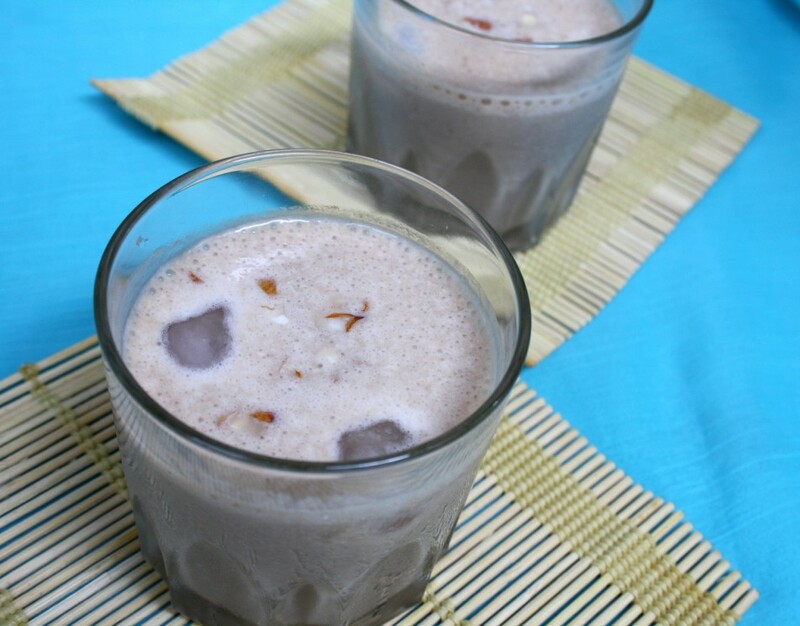 very delicious and refreshing drink !! I am not at all surprised, I should say. My daughter eats fruits only in their original form. No drinks / ice creams. Can you believe that there is a kid who doesn't like icecream since it is sweet? BTW, that drink sounds delicious. Mouthwatering here, super delicious smootie,yumm! Chocolate & banana, now how would you go wrong with that. 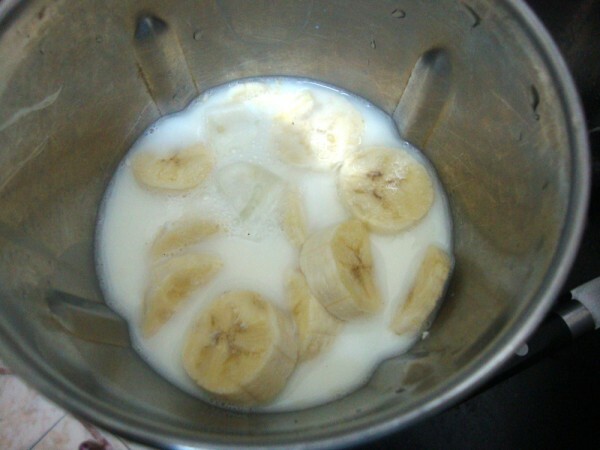 Next time, don't tell your kids that it has banana in it and see if they like it. My son will drink any combo of fruits & veggies only in juice from, he doesn't like to eat them as fruits.. Crazy kids!!!! !